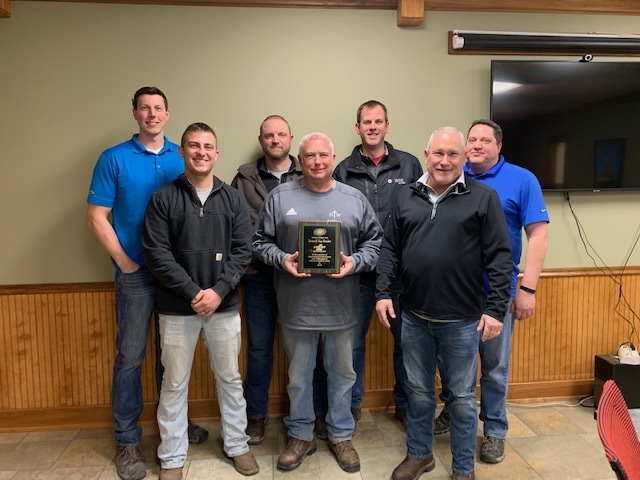 From left: Jake Logan of Logan Contractors Supply, Keaton Klocko of Logan Contractors Supply, Matt Camp of Logan Contractors Supply, Tim Roberts of Logan Contractors Supply, Ryan Thorson of Logan Contractors Supply, Dave Potter of Logan Contractors Supply, Dan Ribbens of Logan Contractors Supply. Logan Contractors, Top Overall Dealer and Midwest Region Top Dealer. This is the fourth year in a row Logan has received recognition. Ace Cutting Equipment & Supply, Northern Region. Ace earned top dealer honors for Minnich’s 17-state Northern region. Live Oak Construction Supply, Southern Region. The company took top dealer honors for 2018 in Minnich’s 11-state region. Hub Construction Specialties, Western Region. Hub earned the top dealer honor in Minnich’s 12-state Western region.